A never-leave-home-without-it essential for road trips, cold mornings in camp and unexpected mountain town chills, the Pinion Down Pullover features responsibly sourced, 800-fill HyperDRY™ down. If there’s one thing we’ve learned living in a mountain town, it’s to never leave home without a puffy, and the Pinion Down Pullover is the perfect daily companion for battling unexpected chills in any season. 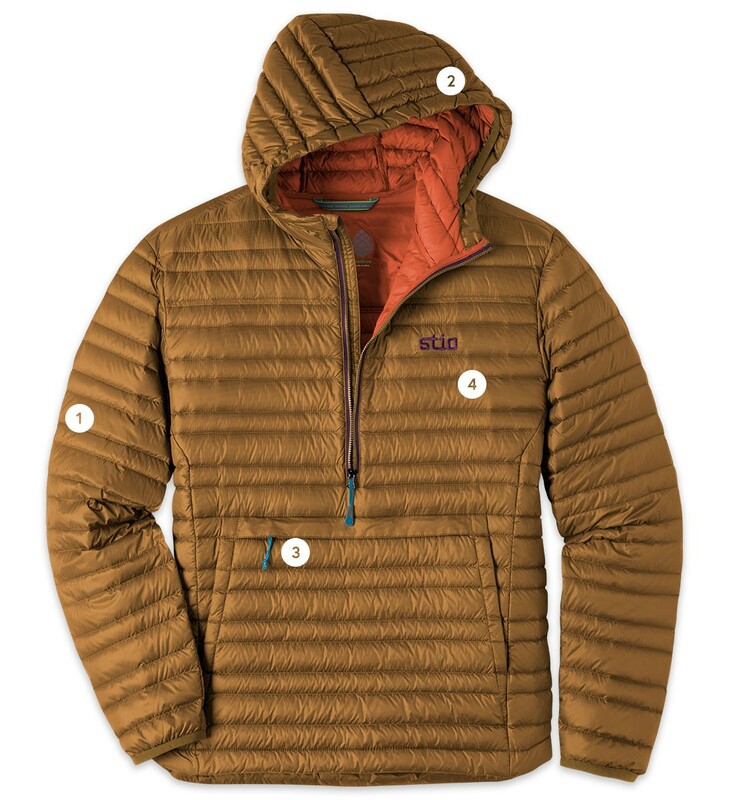 From cold fall mornings in the desert to summer concerts up at the ski area, this regular-fit, insulated pullover combines premium materials with the casual comfort of your favorite hoody. Featuring a lightweight, abrasion- and weather-resistant Pertex® Quantum Bright ripstop shell, the Pinion Pullover packs plenty of warmth thanks to its ultralight, 800-fill AlliedFeather™ HyperDRY™ water-repellent down. The pass-through front pocket keeps your hands warm when you’re making coffee on the tailgate or hoofing it to the bar, while a zippered kangaroo pocket doubles as a stuff sack and can turn the jacket into a comfy camp pillow. Technical performance meets your favorite hoodie.